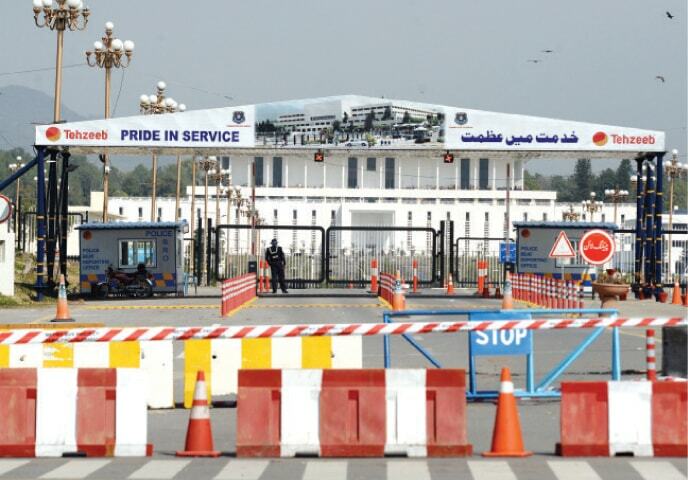 ISLAMABAD: D-Chowk, which has been closed for a month or so following the Balakot incident, will be opened to traffic this week, a senior Islamabad Capital Territory (ICT) administration official said. “A joint session of parliament was called the very next day after the incident and the security of the Red Zone was increased from level III to level V, which is called ‘red alert’. It was decided to close D-Chowk, and later Radio Pakistan Chowk was also closed because of VIP movement,” he told Dawn. The official said dignitaries had visited the country after the incident to help reduce tensions between India and Pakistan. “When opening the road to traffic was being considered, it was announced that Malaysian Prime Minister Dr Mahathir Mohamad would visit Pakistan and be the chief guest at the March 23 parade. So it was decided to continue red alert in the city,” he said. He said another reason D-Chowk and Radio Pakistan Chowk were closed was that police personnel deployed there were sent to other areas and for VIP security. “However, it has been decided in principle to open D-Chowk during the current week,” the official said. D-Chowk used to be one of the busiest intersections in the capital, but was closed off in 2007 when then president Gen Pervez Musharraf announced a state of emergency. It has been reopened a number of times for short periods, including for the National Day parade in March 2008, and was also the site of PTI’s 2014 dharna. One of the reasons it was closed again was because the area was used for political gatherings, demonstrations and protests. During his tenure as prime minister Shahid Khaqan Abbasi in March 2018 announced that D-Chowk would be opened. The barricades and containers were removed from the roads and the intersection, once a lively area visited by locals in the evenings, was revived again. Mohammad Shahid, a resident, said he has been using D-Chowk for nearly a year, adding that it was unfortunate that it has been closed. 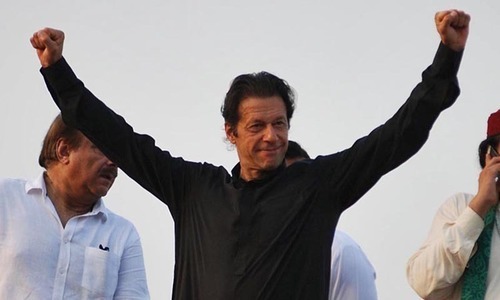 “Opening D-Chowk reduced the burden of traffic on other intersections, as most people were using D-Chowk to access Parliament House, the Supreme Court, Park Secretariat and other parts of the Red Zone from Jinnah Avenue,” he added. Mr Shahid said he could not understand “why the road was closed after the violation of Pakistani airspace by Indian fighter jets, as [the violation] had nothing to do with the closure of the Red Zone.” He said the road should be opened to traffic as soon as possible. Mohammad Naeem lives in F-11 and uses Jinnah Avenue to access the Red Zone. Now, however, he has to drive past a luxury hotel, which takes a long time because of traffic. “The city administration should open D-Chowk without further delay,” he said. Islamabad Deputy Commissioner Mohammad Hamza Shafqaat told Dawn D-Chowk was closed after tensions escalated with India because the capital’s security alert level was increased. “That red alert continued because of VIP movement and the road could not be opened. 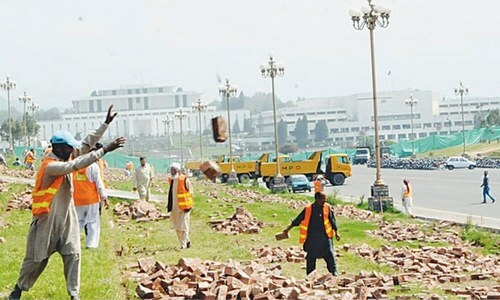 We will be able to open D-Chowk once the level of security drops from V to III again,” he said. When is the next closure due, taking into consideration the VIP and VVIP movements in the area?